On September 19, the Federal Energy Regulatory Commission (FERC) issued Order No. 785, a final rule approving modifications to four reliability standards proposed by the North American Electric Reliability Corporation (NERC). The changes approved in the final rule were designed to address potential reliability gaps involving certain generation interconnection facilities that connect to the transmission grid. The final rule does not generally require generator owners and operators to register with NERC as transmission owners and operators; instead, it expands the applicability of certain reliability requirements to owners of generation interconnection facilities that meet specific criteria. The four reliability standards amended by the final rule are Facility Connection Requirements (FAC-001-1); Transmission Vegetation Management (FAC-003-3); Analysis and Mitigation of Transmission and Generation Protection System Misoperations (PRC-004-2.1a); and Transmission and Generation Protection System Maintenance and Testing (PRC-005-1.1b). The final rule allows NERC discretion to apply other reliability standards to generator interconnection facilities “as necessary on a fact-specific basis,” and allows NERC to conduct certain individual assessments for “more complex” facilities, which could expand the scope of applicable reliability requirements. FAC-001-1. Facility Connection Requirements. As revised, the reliability standard will apply to any registered Generator Owner that has executed an “[a]greement to evaluate the reliability impact of interconnecting a third party Facility to the Generator Owner’s existing Facility . . . used to interconnect to the interconnected Transmission systems.” The requirements will only apply to generator owners that are required by a regulatory body to interconnect a third party generator to the generator owner’s interconnection facility. In the final rule, FERC clarified that a generator owners or operator would not have compliance obligations associated with facilities that it did not own or operate, unless such obligations were voluntarily assumed. operated at 200kV or higher; or are operated below 200kV and identified as an element of an Interconnection Reliability Operating Limit (IROL) under NERC Standard FAC-014 by the Planning Coordinator; or are operated below 200 kV and identified as an element of a Major Western Electric Coordinating Council (WECC) Transfer Path in the Bulk Electric System (BES) by WECC. The standards include requirements to prevent encroachments into a minimum clearance distance from the line, to prepare and update a formal transmission vegetation management program, to implement an annual work plan, and to report sustained outages for qualified lines. Revised standards PRC-004.2.1a and PRC-005-1.1b will take effect November 25, 2013, revised standards FAC-001-1 and FAC-003-3, requirement R3, will take effect on April 1, 2015, and the remaining requirements of FAC-003-3 will take effect on April 1, 2016. 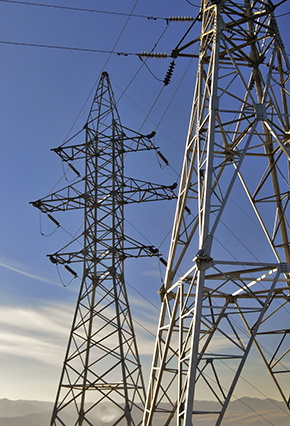 The final rule accepts NERC’s proposed approach for applying only a limited number of reliability standards to certain generation interconnection facilities at the interface with transmission systems. The final rule will not require widespread changes to the registration status of generator owners and operators solely because of their interconnection facilities. However, NERC will have authority to register generator owners and operators as transmission owners and operators on an individual basis if necessary to protect system reliability. In such instances, NERC may register a generator owner or operator as a transmission owner or operator, and may impose relevant transmission reliability requirements, if NERC determines that interconnection facilities are sufficiently extensive. The final rule clarifies that such expansion of reliability compliance obligations should only be required if necessary to close an identified reliability gap. The final rule continues the current policy that NERC has discretion to waive certain transmission owner or operator requirements in such cases. For additional information, please contact Andrew Art, Peg Moore, Jessica Friedman, Vincenzo Franco, or any member of the firm’s Electric Practice at (202) 298–1800 in Washington, D.C. or in Seattle at (206) 623–9372. To subscribe to Van Ness Feldman’s Electric Reliability Update, please email us at reliability@vnf.com with “subscribe” in the subject line.